1. Motor Accident Claims Tribunal was established on 2nd December, 1959 by Notification No. M.V.A. 5957/39100-XII, Home Department, Mantralaya. In the beginning, the Tribunal was a part of City Civil & Sessions Court. Thereafter, by Government Resolution No. M.V.A. 5461/57745-XII dtd. 08/06/1962 independent Court was started at Jehangir Building, Kalaghoda, Fountain, Mumbai- 400 001. 2. An Additional Court i.e. Second Court Motor Accident Claims Tribunal for Gr. Mumbai was created in the year 1972 under Resolution No. MCT 1270/28813-I-XIIB, Home Department, dtd. 25/08/1972. 3. The Third and Fourth Courts were created in the years 1980 and 1983 respectively under Resolution No. MCT-1274/9 TRA 6 Home Department, dtd. 18/08/1980 and No. MCT/0182/6-TRA-6, Mumbai dtd. 20/05/1983, Home Department. 4. In March-1987, present premises 9, Hazarimal Somani Marg, Opp. Chhatrapati Sivaji Terminus, Mumbai-1, were alloted to the Tribunal. 5. An Additional Fifth Court was created by Government Resolution No. 0901/1165/CR 117 in July 2002. 6. Three further Additional Courts i.e. Sixth, Seventh and Eighth were created by Resolution No. MCT-0901/11651 Cr117 (B)/TRA-5 dtd. 02/12/2003. 7. Due to lack of space, 4 additional Courts were functioning on 1st floor of the Annex Building, at the Court of Small Causes, Mumbai. After some litigation, it was decided to bring all 8 Courts under one roof. Accordingly, presently all 8 Courts are functioning at the present premises. 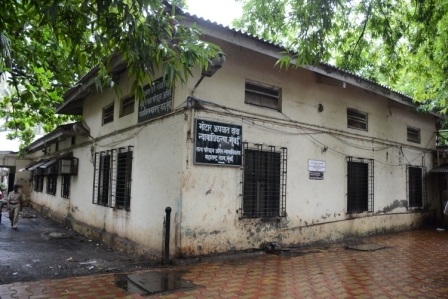 The present premises are owned by Government and are maintained by the PWD. The building is a sprawling single storied barrack like structure situated just opposite the Chhatrapati Shivaji Terminus, Mumbai. Presently, this Court is housed in an area of about 6500 sq. ft. and co-exists with the State Human Rights Commission and the Consumer Commission.